At the Beach House we have a full range of facilities to make your stay more comfortable. Rimu House and Summit Lodge have full kitchen facilities shared between the three bedrooms in each house. The kitchens are fully equipped, and include ovens, microwaves, fridge-freezers, pots, frypans, crockery and cutlery. The Hutel has a kitchenette that includes a cooktop, microwave, fridge, pots, frypan, crockery and cutlery. We also have a small gas BBQ on site. All our rooms come with linen, and bathrooms include towels, soaps, shampoo and conditioner. We have a laundry that is available to use free of charge after 3pm daily. This includes use of the washers, dryer (theres also a massive washing line) and laundry liquid. All guests get free unlimited use of our property-wide wifi. 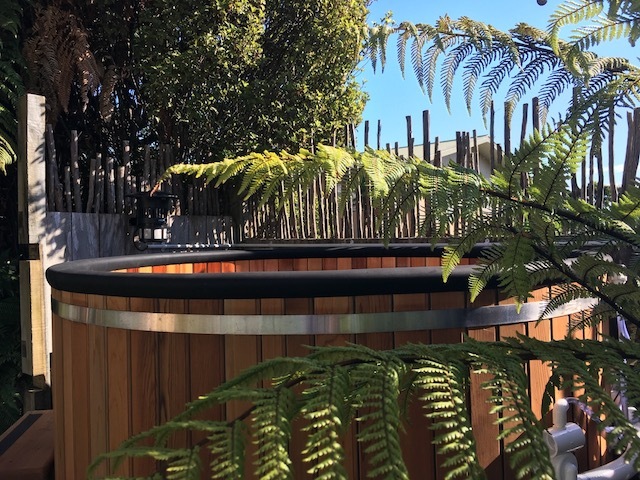 New to the property, our 8-person cedar wood hot tub is a great way to relax and unwind. We use natural mineral treatment in our water so is suitable for those with sensitive skin. Water is heated to a comfortable 38 degrees.